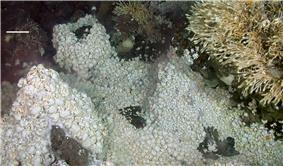 A hydrothermal vent is a giant tube worms, clams, limpets and shrimp. Active hydrothermal vents are believed to exist on Jupiter's moon Europa, and Saturn's moon Enceladus, and ancient hydrothermal vents have been speculated to exist on Mars. Hydrothermal vents in the deep ocean typically form along the mid-ocean ridges, such as the East Pacific Rise and the Mid-Atlantic Ridge. These are locations where two tectonic plates are diverging and new crust is being formed. The water that issues from seafloor hydrothermal vents consists mostly of sea water drawn into the hydrothermal system close to the volcanic edifice through faults and porous sediments or volcanic strata, plus some magmatic water released by the upwelling magma. In terrestrial hydrothermal systems, the majority of water circulated within the fumarole and geyser systems is meteoric water plus ground water that has percolated down into the thermal system from the surface, but it also commonly contains some portion of metamorphic water, magmatic water, and sedimentary formational brine that is released by the magma. The proportion of each varies from location to location. In contrast to the approximately 2 °C ambient water temperature at these depths, water emerges from these vents at temperatures ranging from 60 to as high as 464 °C. Due to the high hydrostatic pressure at these depths, water may exist in either its liquid form or as a supercritical fluid at such temperatures. The critical point of (pure) water is 375 °C at a pressure of 218 atmospheres. However, introducing salinity into the fluid raises the critical point to higher temperatures and pressures. 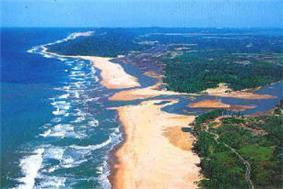 The critical point of seawater (3.2 wt. % NaCl) is 407 °C and 298.5 bars, corresponding to a depth of ~2960 m below sea level. Accordingly, if a hydrothermal fluid with a salinity of 3.2 wt. % NaCl vents above 407 °C and 298.5 bars, it is supercritical. Furthermore, the salinity of vent fluids have been shown to vary widely due to phase separation in the crust. The critical point for lower salinity fluids is at lower temperature and pressure conditions than that for seawater, but higher than that for pure water. For example, a vent fluid with a 2.24 wt. % NaCl salinity has the critical point at 400 °C and 280.5 bars. Thus, water emerging from the hottest parts of some hydrothermal vents can be a supercritical fluid, possessing physical properties between those of a gas and those of a liquid. Examples of supercritical venting are found at several sites. Sister Peak (Comfortless Cove Hydrothermal Field, , elevation -2996 m), vents low salinity phase-separated, vapor-type fluids. Sustained venting was not found to be supercritical but a brief injection of 464 °C was well above supercritical conditions. A nearby site, Turtle Pits, was found to vent low salinity fluid at 407 °C, which is above the critical point of the fluid at that salinity. A vent site in the Cayman Trough named Beebe, which is the world's deepest known hydrothermal site at ~5000 m below sea level, has shown sustained supercritical venting at 401 °C and 2.3 wt% NaCl. Although supercritical conditions have been observed at several sites, it is not yet known what significance, if any, supercritical venting has in terms of hydrothermal circulation, mineral deposit formation, geochemical fluxes or biological activity. The initial stages of a vent chimney begin with the deposition of the mineral anhydrite. Sulfides of copper, iron, and zinc then precipitate in the chimney gaps, making it less porous over the course of time. Vent growths on the order of 30 cm per day have been recorded. An April 2007 exploration of the deep-sea vents off the coast of Fiji found those vents to be a significant source of dissolved iron. Sound recording from a black smoker. Some hydrothermal vents form roughly cylindrical chimney structures. These form from minerals that are dissolved in the vent fluid. When the superheated water contacts the near-freezing sea water, the minerals precipitate out to form particles which add to the height of the stacks. Some of these chimney structures can reach heights of 60 m. An example of such a towering vent was "Godzilla", a structure in the Pacific Ocean near Oregon that rose to 40 m before it fell over. A black smoker or sea vent is a type of hydrothermal vent found on the seabed, typically in the abyssal and hadal zones. They appear as black, chimney-like structures that emit a cloud of black material. Black smokers typically emit particles with high levels of sulfur-bearing minerals, or sulfides. Black smokers are formed in fields hundreds of meters wide when superheated water from below Earth's crust comes through the ocean floor. This water is rich in dissolved minerals from the crust, most notably sulfides. When it comes in contact with cold ocean water, many minerals precipitate, forming a black, chimney-like structure around each vent. The deposited metal sulfides can become massive sulfide ore deposits in time. Black smokers were first discovered in 1977 on the East Pacific Rise by scientists from Scripps Institution of Oceanography. They were observed using a deep submergence vehicle called ALVIN belonging to the Woods Hole Oceanographic Institution. Now, black smokers are known to exist in the Atlantic and Pacific Oceans, at an average depth of 2100 metres. The most northerly black smokers are a cluster of five named Loki's Castle, discovered in 2008 by scientists from the University of Bergen at 73°N, on the Mid-Atlantic Ridge between Greenland and Norway. These black smokers are of interest as they are in a more stable area of the Earth's crust, where tectonic forces are less and consequently fields of hydrothermal vents are less common. The world's deepest known black smokers are located in the Cayman Trough, 5,000 m (3.1 miles) below the ocean's surface. White smoker vents emit lighter-hued minerals, such as those containing barium, calcium and silicon. These vents also tend to have lower temperature plumes. Some vents are surrounded by a dense fauna. Hydrothermal vent communities are able to sustain such vast amounts of life because vent organisms depend on chemosynthetic bacteria for food. The water from the hydrothermal vent is rich in dissolved minerals and supports a large population of chemoautotrophic bacteria. These bacteria use sulfur compounds, particularly chemosynthesis. The ecosystem so formed is reliant upon the continued existence of the hydrothermal vent field as the primary source of energy, which differs from most surface life on Earth, which is based on anaerobic. The chemosynthetic bacteria grow into a thick mat which attracts other organisms, such as annelids, pogonophorans, gastropods, and crustaceans, with large bivalves, vestimentiferan worms, and "eyeless" shrimp making up the bulk of nonmicrobial organisms. Siboglinid tube worms, which may grow to over 2 m (6.6 ft) tall in the largest species, often form an important part of the community around a hydrothermal vent. They have no mouth or digestive tract, and like parasitic worms, absorb nutrients produced by the bacteria in their tissues. About 285 billion bacteria are found per ounce of tubeworm tissue. Tubeworms have red plumes which contain hemoglobin. Hemoglobin combines with hydrogen sulfide and transfers it to the bacteria living inside the worm. In return, the bacteria nourish the worm with carbon compounds. Two of the species that inhabit a hydrothermal vent are Tevnia jerichonana, and Riftia pachyptila. One discovered community, dubbed "Eel City", consists predominantly of the eel Dysommina rugosa. Though eels are not uncommon, invertebrates typically dominate hydrothermal vents. 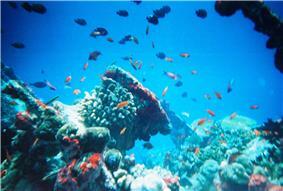 Eel City is located near Nafanua volcanic cone, American Samoa. Other examples of the unique Pompeii worm Alvinella pompejana, which is capable of withstanding temperatures up to 80 °C (176 °F). In 1993, already more than 100 gastropod species were known to occur in hydrothermal vents. Over 300 new species have been discovered at hydrothermal vents, many of them "sister species" to others found in geographically separated vent areas. It has been proposed that before the North American plate overrode the mid-ocean ridge, there was a single biogeographic vent region found in the eastern Pacific. The subsequent barrier to travel began the evolutionary divergence of species in different locations. The examples of convergent evolution seen between distinct hydrothermal vents is seen as major support for the theory of natural selection and of evolution as a whole. Although life is very sparse at these depths, black smokers are the centers of entire food chain also deposit minerals into the base of the black smoker, therefore completing the life cycle. Van Dover CL, Humphris SE, Fornari D, Cavanaugh CM, Collier R, Goffredi SK, Hashimoto J, Lilley MD, Reysenbach AL, Shank TM, Von Damm KL, Banta A, Gallant RM, Gotz D, Green D, Hall J, Harmer TL, Hurtado LA, Johnson P, McKiness ZP, Meredith C, Olson E, Pan IL, Turnipseed M, Won Y, Young CR 3rd, Vrijenhoek RC (2001). 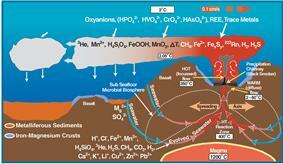 "Biogeography and ecological setting of Indian Ocean hydrothermal vents". Science 294 (5543): 818–23. Van Dover, Cindy Lee (2000). The Ecology of Deep-Sea Hydrothermal Vents. Princeton University Press. Beatty JT, Overmann J, Lince MT, Manske AK, Lang AS, Blankenship RE, Van Dover CL, Martinson TA, Plumley FG (2005). "An obligately photosynthetic bacterial anaerobe from a deep-sea hydrothermal vent". Proceedings of the National Academy of Sciences 102 (26): 9306–10. Andrea Koschinsky, Dieter Garbe-Schönberg, Sylvia Sander, Katja Schmidt, Hans-Hermann Gennerich and Harald Strauss (August 2008). "Hydrothermal venting at pressure-temperature conditions above the critical point of seawater, 5°S on the Mid-Atlantic Ridge". Geology 36 (8): 615–618. Catherine Brahic (4 August 2008). "Found: The hottest water on Earth". New Scientist. Retrieved 18 June 2010. Josh Hill (5 August 2008). Extreme Water' Found at Atlantic Ocean Abyss"'". The Daily Galaxy. Retrieved 18 June 2010. ^ "Spacecraft Data Suggest Saturn Moon's Ocean May Harbor Hydrothermal Activity". NASA. 11 March 2015. Retrieved 12 March 2015. ^ Paine, M. (15 May 2001). "Mars Explorers to Benefit from Australian Research". ^ a b Haase, K. M.; et al. (2007). "Young volcanism and related hydrothermal activity at 5°S on the slow-spreading southern Mid-Atlantic Ridge". ^ a b Haase, K. M.; et al. (2009). "Fluid compositions and mineralogy of precipitates from Mid Atlantic Ridge hydrothermal vents at 4°48'S". PANGAEA. ^ Bischoff, James L; Rosenbauer, Robert J. "Liquid-vapor relations in the critical region of the system NaCl-H2O from 380 to 415°C: A refined determination of the critical point and two-phase boundary of seawater". Geochimica et Cosmochimica Acta 52 (8): 2121–2126. ^ Von Damm, K L. "Seafloor Hydrothermal Activity: Black Smoker Chemistry and Chimneys". Annual Review of Earth and Planetary Sciences 18 (1): 173–204. ^ Tivey, M. K. (1 December 1998). "How to Build a Black Smoker Chimney: The Formation of Mineral Deposits At Mid-Ocean Ridges". ^ Perkins, S. (2001). 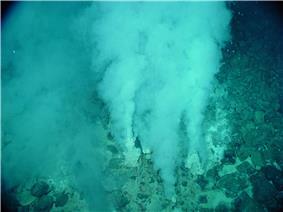 "New type of hydrothermal vent looms large". ^ "Boiling Hot Water Found in Frigid Arctic Sea". ^ "Scientists Break Record By Finding Northernmost Hydrothermal Vent Field". ^ Cross, A. (12 April 2010). "World's deepest undersea vents discovered in Caribbean". ^ "Extremes of Eel City". ^ Sysoev, A. V.; Kantor, Yu. I. (1995). (Gastropoda, Conoidea, Conidae) from the hydrothermal vents"Phymorhynchus"Two new species of (PDF). ^ Botos, S. "Life on a hydrothermal vent". Hydrothermal Vent Communities. ^ Van Dover, C. L. "Hot Topics: Biogeography of deep-sea hydrothermal vent faunas". ^ Beatty, J.T. ; et al. (2005). "An obligately photosynthetic bacterial anaerobe from a deep-sea hydrothermal vent". ^ Gold, T. (1992). "The Deep Hot Biosphere". ^ Proskurowski, G.; et al. (2008). "Abiogenic Hydrocarbon Production at Lost City Hydrothermal Field". ^ Wächtershäuser, G. (1990). 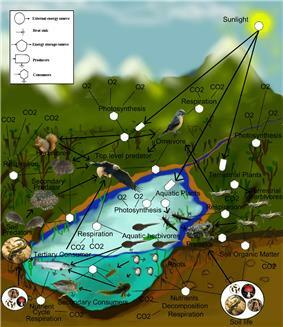 "Evolution of the First Metabolic Cycles" (PDF). ^ Tunnicliffe, V. (1991). "The Biology of Hydrothermal Vents: Ecology and Evolution". ^ Chemistry of seabed’s hot vents could explain emergence of life. Astrobiology Magazine 27 April 2015. 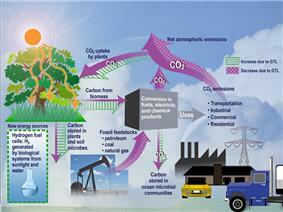 ^ "Bio-inspired CO2 conversion by iron sulfide catalysts under sustainable conditions. (PDF) Nora H. de Leeuw, et. al. Chemical Communications, 2015, 51, 7501-7504. DOI: 10.1039/C5CC02078F. 24 March 2015. ^ Degens, E. T. (1969). Hot Brines and Recent Heavy Metal Deposits in the Red Sea. ^ Lonsdale, P. (1977). "Clustering of suspension-feeding macrobenthos near abyssal hydrothermal vents at oceanic spreading centers". ^ "New undersea vent suggests snake-headed mythology" (Press release). ^ "Beebe". Interridge Vents Database. ^ German, C. R.; et al. (2010). "Diverse styles of submarine venting on the ultraslow spreading Mid-Cayman Rise" (PDF). ^ "Deepest undersea vents discovered by UK team". BBC. 21 February 2013. Retrieved 21 February 2013. ^ Beaulieu, S. E.; Baker, E. T.; German, C. R.; Maffei, A. R. (2013). "An authoritative global database for active submarine hydrothermal vent fields". ^ Perkins, W. G. (1984). "Mount Isa silica dolomite and copper orebodies; the result of a syntectonic hydrothermal alteration system". ^ a b We Are About to Start Mining Hydrothermal Vents on the Ocean Floor. Nautilus; Brandon Keim. 12 September 2015. ^ "The dawn of deep ocean mining". The All I Need. 2006. ^ "Nautilus Outlines High Grade Au - Cu Seabed Sulphide Zone" (Press release). ^ "Neptune Minerals". Retrieved August 2, 2012. ^ Birney, K.; et al. "Potential Deep-Sea Mining of Seafloor Massive Sulfides: A case study in Papua New Guinea" (PDF). ^ "Treasures from the deep". ^ Devey, C.W. ; Fisher, C.R. ; Scott, S. (2007). "Responsible Science at Hydrothermal Vents" (PDF). ^ Johnson, M. (2005). "Oceans need protection from scientists too". ^ Johnson, M. (2005). "Deepsea vents should be world heritage sites". ^ Tyler, P.; German, C.; Tunnicliff, V. (2005). "Biologists do not pose a threat to deep-sea vents". The conservation of hydrothermal vents has been the subject of sometimes heated discussion in the Oceanographic Community for the last 20 years. It has been pointed out that it may be that those causing the most damage to these fairly rare habitats are scientists. There have been attempts to forge agreements over the behaviour of scientists investigating vent sites but although there is an agreed code of practice there is as yet no formal international and legally binding agreement. Attempts have been made in the past to exploit minerals from the seafloor. The 1960s and 70s saw a great deal of activity (and expenditure) in the recovery of manganese nodules from the abyssal plains, with varying degrees of success. This does demonstrate however that recovery of minerals from the seafloor is possible, and has been possible for some time. Interestingly, mining of manganese nodules served as a cover story for the elaborate attempt by the CIA to raise the sunken Soviet submarine K-129, using the Glomar Explorer, a ship purpose built for the task by Howard Hughes. The operation was known as Project Azorian, and the cover story of seafloor mining of manganese nodules may have served as the impetus to propel other companies to make the attempt. Potential seafloor mining has environmental impacts including dust plumes from mining machinery affecting filter feeding organisms, collapsing or reopening vents, methane clathrate release, or even sub-oceanic land slides. A large amount of work is currently being engaged in by both the above-mentioned companies to ensure that potential environmental impacts of seafloor mining are well understood and control measures are implemented, before exploitation commences. Two companies are currently engaged in the late stages of commencing to mine seafloor massive sulfides. Nautilus Minerals is in the advanced stages of commencing extraction from its Solwarra deposit, in the Bismarck Archipelago, and Neptune Minerals is at an earlier stage with its Rumble II West deposit, located on the Kermadec Arc, near the Kermadec Islands. Both companies are proposing using modified existing technology. Nautilus Minerals, in partnership with Placer Dome (now part of Barrick Gold), succeeded in 2006 in returning over 10 metric tons of mined SMS to the surface using modified drum cutters mounted on an ROV, a world first. Neptune Minerals in 2007 succeeded in recovering SMS sediment samples using a modified oil industry suction pump mounted on an ROV, also a world first. Recently, mineral exploration companies, driven by the elevated price activity in the base metals sector during the mid-2000s, have turned their attention to extraction of mineral resources from hydrothermal fields on the seafloor. Significant cost reductions are, in theory, possible. Hydrothermal vents, in some instances, have led to the formation of exploitable mineral resources via deposition of seafloor massive sulfide deposits. The Mount Isa orebody located in Queensland, Australia, is an excellent example. Many hydrothermal vents are rich in cobalt, gold, copper, and rare earth metals essential for electronic components. Hydrothermal vents tend to be distributed along the Earth's plate boundaries, although they may also be found at intra-plate locations such as hotspot volcanoes. As of 2009 there were approximately 500 known active submarine hydrothermal vent fields, with about half visually observed at the seafloor and the other half suspected from water column indicators and/or seafloor deposits. The InterRidge program office hosts a global database for the locations of known active submarine hydrothermal vent fields. In 2005, Neptune Resources NL, a mineral exploration company, applied for and was granted 35,000 km² of exploration rights over the Kermadec Arc in New Zealand's Exclusive Economic Zone to explore for seafloor massive sulfide deposits, a potential new source of lead-zinc-copper sulfides formed from modern hydrothermal vent fields. The discovery of a vent in the Pacific Ocean offshore of Costa Rica, named the Medusa hydrothermal vent field (after the serpent-haired Medusa of Greek mythology), was announced in April 2007. The Ashadze hydrothermal field (13°N on the Mid-Atlantic Ridge, elevation -4200 m) was the deepest known high-temperature hydrothermal field until 2010, when a hydrothermal plume emanating from the Beebe site (, elevation -5000 m) was detected by a group of scientists from NASA Jet Propulsion Laboratory and Woods Hole Oceanographic Institute. This site is located on the 110 km long, ultraslow spreading Mid-Cayman Rise within the Cayman Trough. On February 21 the deepest known hydrothermal vents were discovered in the Caribbean at a depth of almost 5,000 metres (16,000 ft). The chemosynthetic ecosystem surrounding submarine hydrothermal vents were discovered along the Galapagos Rift, a spur of the East Pacific Rise, in 1977 by a group of marine geologists led by Jack Corliss of Oregon State University. In 1979, biologists returned to the rift and used DSV Alvin, an ONR research submersible from Woods Hole Oceanographic Institute, to see the hydrothermal vent communities with their own eyes. In that same year, Peter Lonsdale published the first scientific paper on hydrothermal vent life. It has been proposed that extremophiles and other organisms currently living immediately around deep-sea vents, suggesting that this is indeed a possible scenario. Günter Wächtershäuser proposed the iron-sulfur world theory and suggested that life might have originated at hydrothermal vents. Wächtershäuser proposed that an early form of metabolism predated genetics. By metabolism he meant a cycle of chemical reactions that release energy in a form that can be harnessed by other processes. An article on abiogenic hydrocarbon production in the February 2008 issue of Science journal used data from experiments at the Lost City hydrothermal field to report how the abiotic synthesis of low molecular mass hydrocarbons from mantle derived carbon dioxide may occur in the presence of ultramafic rocks, water, and moderate amounts of heat. At the beginning of his 1992 paper The Deep Hot Biosphere, Thomas Gold referred to ocean vents in support of his theory that the lower levels of the earth are rich in living biological material that finds its way to the surface. He further expanded his ideas in the book The Deep Hot Biosphere. Although the discovery of hydrothermal vents is a relatively recent event in the history of science, the importance of this discovery has given rise to, and supported, new biological and bio-atmospheric theories. New and unusual species are constantly being discovered in the neighborhood of black smokers. The Pompeii worm was found in the 1980s, and a scaly-foot gastropod in 2001 during an expedition to the Indian Ocean's Kairei hydrothermal vent field. The latter uses iron sulfides (pyrite and greigite) for the structure of its dermal sclerites (hardened body parts), instead of calcium carbonate. The extreme pressure of 2500 m of water (approximately 25 megapascals or 250 atmospheres) is thought to play a role in stabilizing iron sulfide for biological purposes. This armor plating probably serves as a defense against the venomous radula (teeth) of predatory snails in that community.